The 40-bulb LED string lights which are populated with transparent little stars are a practical Christmas and winter decoration for use indoors or outdoors. 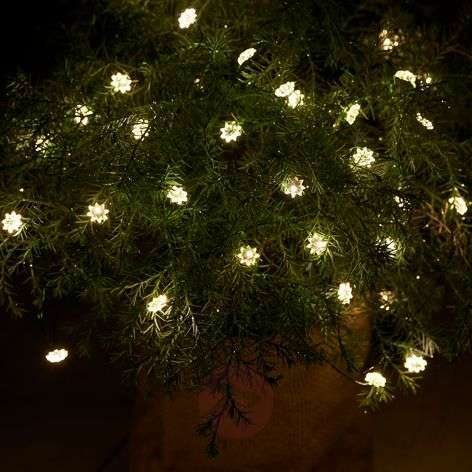 The little stars are illuminated by LEDs and can be seen from afar, even outdoors. They can be used to show off tables in the house or plants on the terrace, for example. With built-in timer: six hours/on/off. Three AA batteries are required (not included - available as accessories).